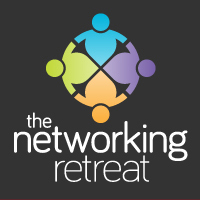 This week I launched my own brand of networking event in Witney, Oxfordshire – The Networking Retreat Live! Even though I previously used to manage over 5000 networking events a year for 4Networking, and launched many groups along, the way, I learnt so much from this last few weeks that I thought I would jot it down here. What I learnt, or maybe relearnt, was what you have to do to get people to your networking event. It is actually quite simple, it just isn’t that easy and requires some effort, applied little and often. Get your marketing copy right. Why would people want to come? After all there are probably loads more networking events in your town. Make sure that what you’re telling people is compelling and gives them a really good reason to take the time out to attend. Even if you are running a free event, people value their time. Get busy on social media. THIS DOES NOT MEAN SENDING A FEW AUTOTWEETS. Spend time finding and engaging with people who are from your town. Ideally do this over multiple platforms, at the very least Facebook, Twitter and LinkedIn. Engage, talk to them on their terms, make sure they know about your event. If there is a #hour for your town, get stuck into that as well, not just broadcasting about your event, but getting to know the other people. Email market your event. If you have a list, sort out the people who are local to you and get an Email to them, or several Emails. Use Mailchimp or similar so that people are able to unsubscribe if they wish to. PICK UP THE PHONE. At some point you actually need to talk to people. Your results will be much greater if you pick up the phone and talk to people. Either phone and offer to book them in or phone and immediately send them a link if they need to book themselves in. Emails and Tweets are so easy to ignore. A phone call will get you a quick yes or no and it will get you more yeses than if you simply rely on social. Do little and often. A bit of activity every day in the run up to your event is far more productive than a manic 48 hours when you realise nobody has booked on. Give yourself a sensible run up and make sure you are marketing the event somehow every day during that run up. Some people won’t want to come. That’s cool, don’t be disheartened, move onto the next. 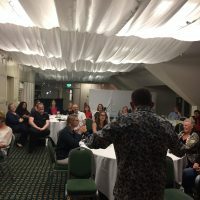 If this is a regular event, be ready to go with your marketing for the next one as soon as this one is over which means Emails to your attendees and creating a lot of social activity including photos and videos so that those who didn’t come first time round, will wish they had and book on next time. With so many online options to market events, I think it is easy to fall into the trap of “build it and they will come” and I’ve seen too many people do just that. No matter how brilliant you think your event is you need to make sure people know about it. Just putting a Facebook Page or Facebook Event up there simply isn’t enough – how many of those do you ignore? Running a networking event is the biggest and best excuse I have found for being able to talk to any business person locally, without needing to sell to them, which is why I continue to do it. And by the way, your event needs to be brilliant, cos if it ain’t, people won’t come back. But if it is, you will, rightly, get the credit for it. I really hope this is helpful.